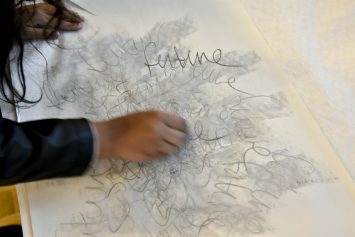 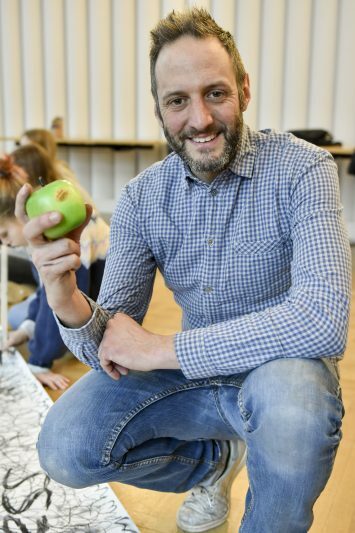 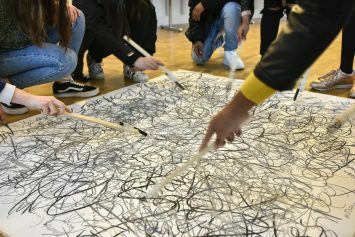 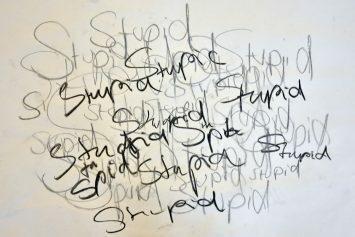 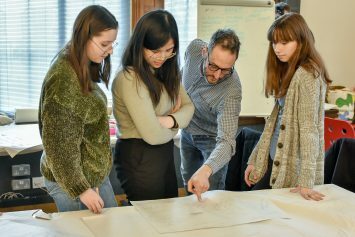 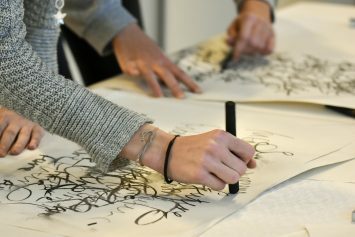 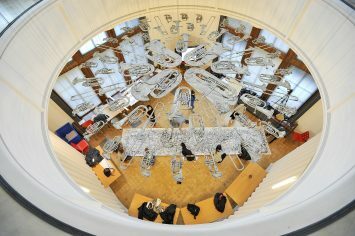 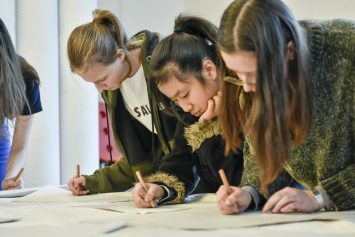 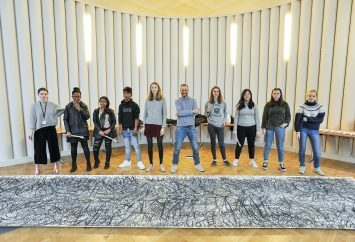 In the Victoria and Albert Museum Club’s Masterclass, members worked with artist Barnaby Barford to create a large-scale collaborative drawing using word repetition. 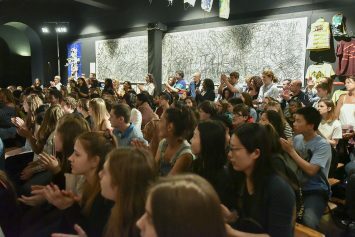 Barnaby began the session with a presentation about himself and his work, and about artists who had inspired him. 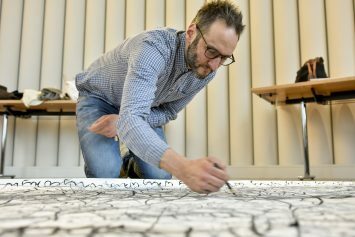 He showed the group a series of images, of which “Brexit” received the strongest response. 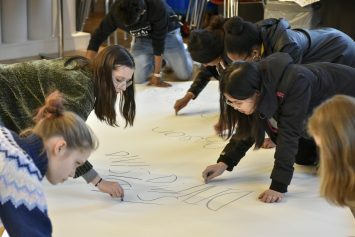 The young people discussed their feelings on Brexit and chose related words that they felt were most important to them. 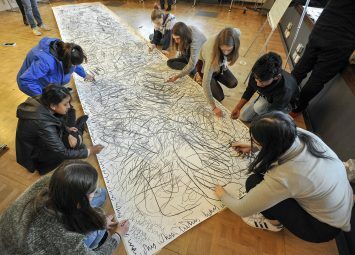 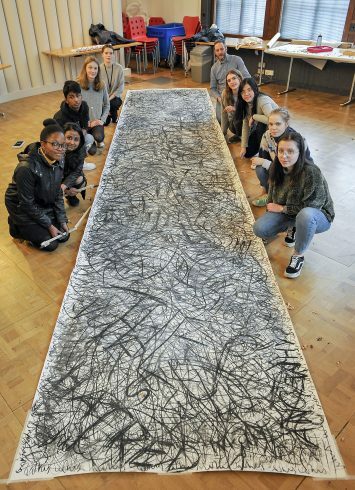 After experimenting with writing their words using charcoal, they filled an eight-metre-long roll of paper with their impressive word drawing made using a variety of materials.